Silk Screen celebrated its 12th Film Festival on September 16-24, 2017. 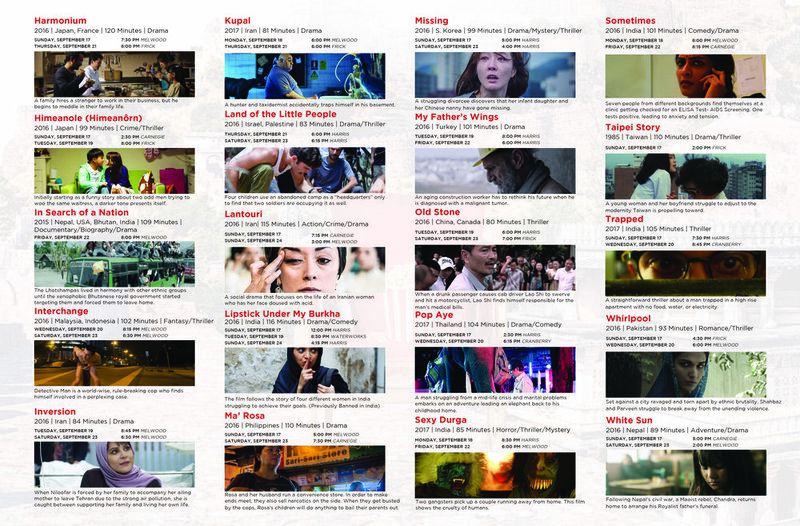 The festival showcased over 30 feature-length films from 14 countries. 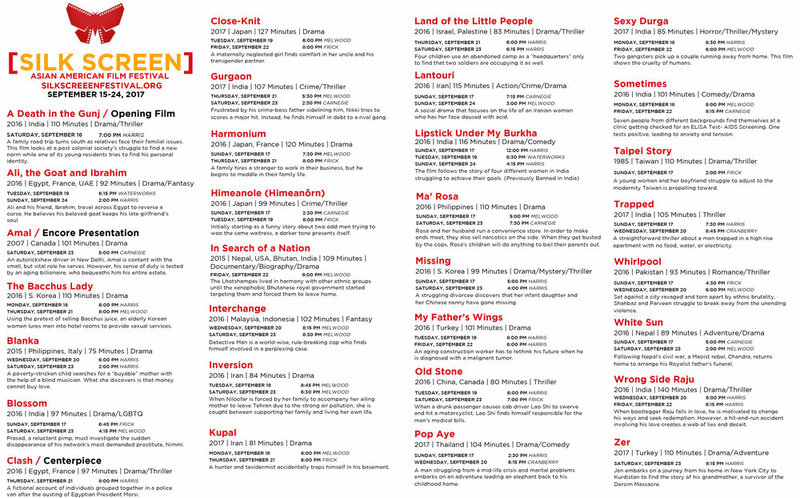 Silk Screen Asian American Film Festival is a 10-day Asian Film Festival held in Pittsburgh, Pennsylvania. The festival is an annual event showcasing films from India, Japan, China, Turkey, Lebanon, South Korea, Iraq, Philippines, and Iran.